Right in the middle of Wrigleyville, next to Wrigley Field itself, is the Brickhouse Tavern. This bar and restaurant serves as the perfect place to grab a drink and eat some amazing food before and/or after your next Cubs game! 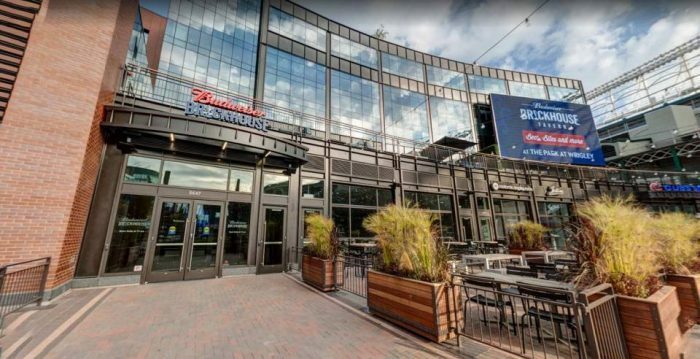 Not only is Brickhouse Tavern an excellent place to grab a bite to eat while in the Wrigleyville area, but it is also home to exciting events throughout the year…which include: trivia nights, an amazing New Year’s party, karaoke and so much more! If you are planning an upcoming private event in Chicago, what better place than right next to the historic Wrigley Field? Brickhouse Tavern has different spaces that are available to rent for private events of many different sizes. If you have a major party planned, you can even rent out the entire venue! The next time you are in Wrigleyville, make sure to pop by the Brickhouse Tavern for a beer and bite to eat!